Description Leather bed with wave detail. 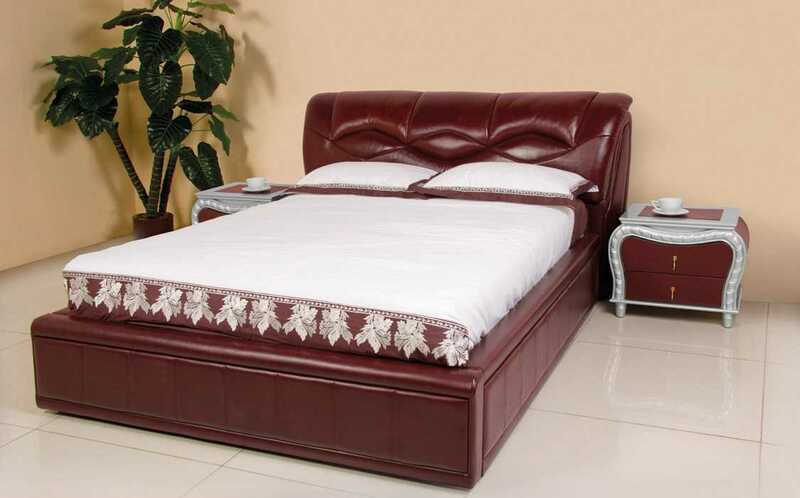 Description Exquisitely enhanced white leather bed with rhinestone buttons and detailed silver wooden frame. Description Leather bed with button detail on headboard. Leather touch used for back and sides of frame. 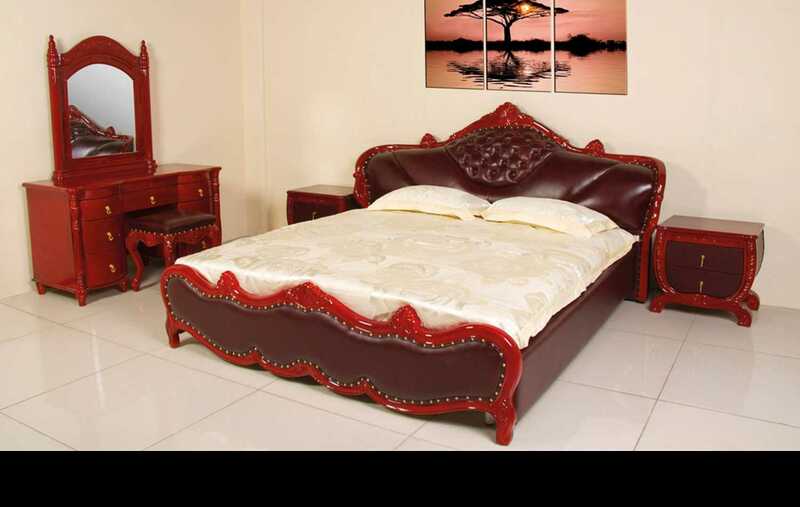 Description Solid Rosewood frame with Full Hide Leather headboard. Leather touch used for back and sides of base frame. Description 5 Piece wooden bedroom suite, including headboard with 2 pedestals and dressing table with mirror.